Hi everyone! Hope everything is going well! For the first time, I tried the “escape to the sun” thing and went to Gran Canaria (Spain) for a week-long vacation. That was seriously amazing, what a luxury, and I loved every second of it. We spent a lot of time resting by the pool and such so it was a very relaxing holiday. And then it was a shock coming back to the Swedish winter weather, but now the weather has gotten a bit warmer at least. 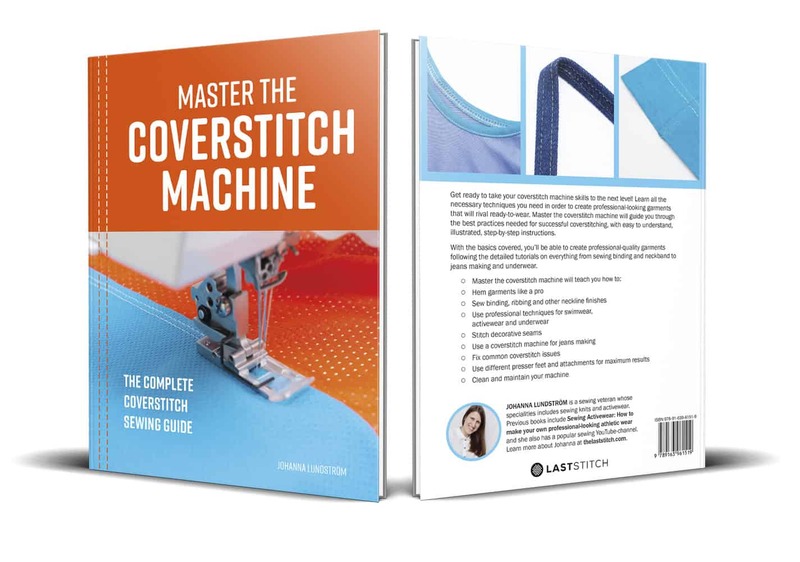 In case you have missed it, my book Master the Coverstitch Machine is finally available for pre-order. Both as an ebook and print. Yay! I managed to fix the last bits to make that happen on the balcony on Gran Canaria, so yes I still worked a bit on my holiday. But that was so lovely and different compared to my normal 6 AM work session that I do before I head off to my day job. This time I’ve managed to make the print version available to any bookseller who wants to carry it, Borders and Barnes and Noble does for instance, and hopefully more local online bookseller will sell the book once it’s out. If you see my book in your country, please drop me note since I want to be able to inform on other options than Amazon as well. 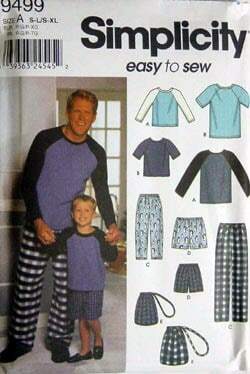 Once I get the time, I will do the same with my first book Sewing Activewear, now that I’ve figured out how to do that. As you can imagine there has been zero time for sewing lately, but this weekend I finally had time to work on my fleece jacket. I got off to a good start, finishing and lining the hood. 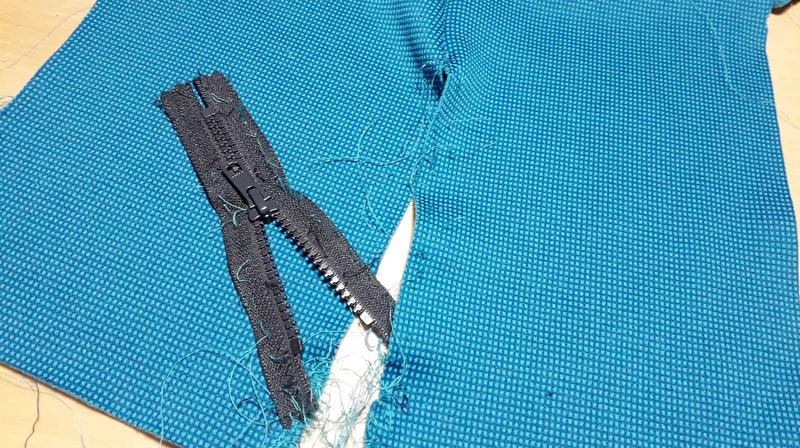 But then, after inserting the side pocket and zippers, I realised that I needed to do it differently, so I ripped it all apart. So this is the current state of my jacket. At times I question my sanity when it comes to obsessing over small sewing things, but I will treat it as a learning process since I have now figured out a way to do the zippers pockets that more closely resembles RTW-techniques. This was a quick update of what’s going on at the moment! I have so many exciting ideas buzzing in my head right now, just need to find the time, but that’s like a life-long challenge! Congrats on your new book! I can’t wait for my copy to arrive; I need all the help I can get when it comes to my coverstitch machine. Glad you were able to enjoy your vitamin D infused vacation! Thank you! It makes me so happy to hear that you look forward to my book! Thank you for this post re your upcoming book. I put in for an amazon.ca alert when it becomes available in print but there was no way to pre-order at amazon.ca. Just wanted to let you know. Can’t wait to work with it! 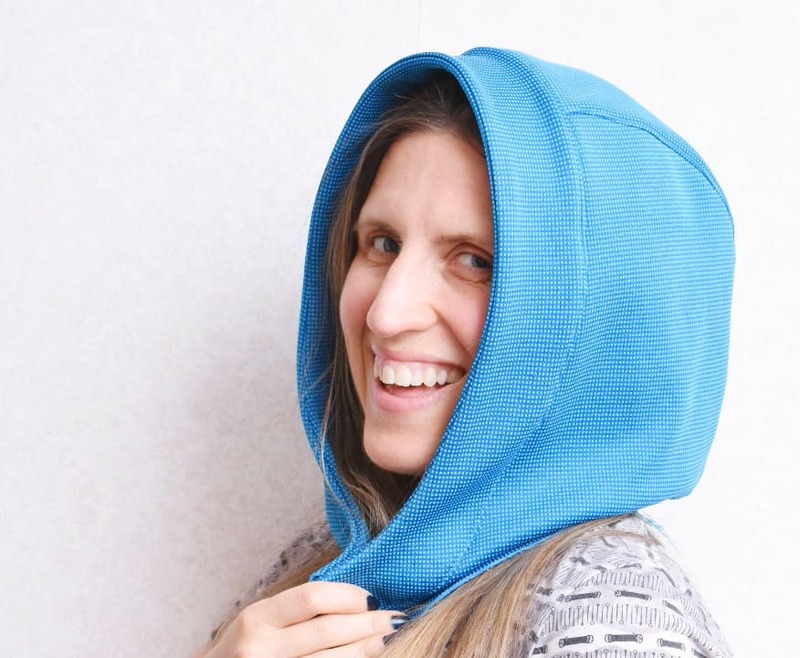 I’m sure you have included all sorts of tips in working with a coverstitch. Thank you for the heads-up! I cannot figure out why it’s not on Amazon.ca as it popped up on all other Amazon sites within days and the book is set up for worldwide distribution and can be bought from other Canadian vendors such as Borders. Once the book is released I will switch to the Amazon in-house print and distribution system, and that will hopefully solve this issue. But I remember with the last book it took a week longer for it to show up on Amazon.ca, so I am noticing a pattern here! Thanks for this post Johanna. Looking forward to the book and seeing how this jacket comes out!